Perhaps I should give you a little background about us. Many moons ago, I had “hatched” an idea. (Sorry, couldn’t resist!) You guessed it, I wanted to own an art gallery! Life took over and my dream plan was pushed aside. 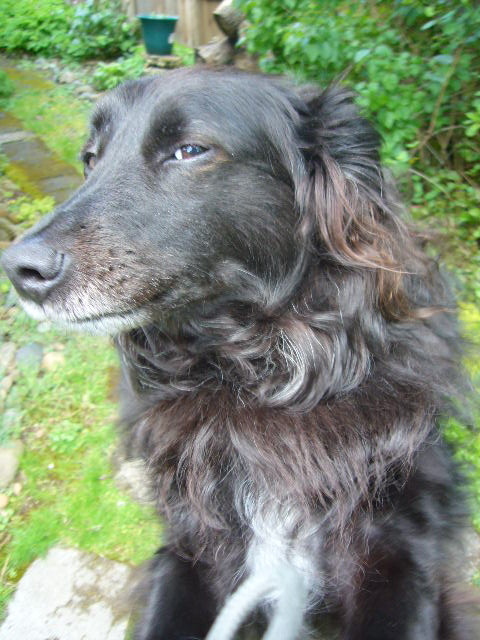 Fast forward to June 2010… after a 6 1/2 year stint in Portland, Oregon I was driving a Penske truck across the country with my faithful traveling companion, Donovan. Moving back to my home state of Wisconsin, I had a lot of fear but also a lot of hope and anticipation. I knew I had to fulfill the dream. Having a background in retail and gallery arts, I’m confident in my plan for supporting and selling local art! 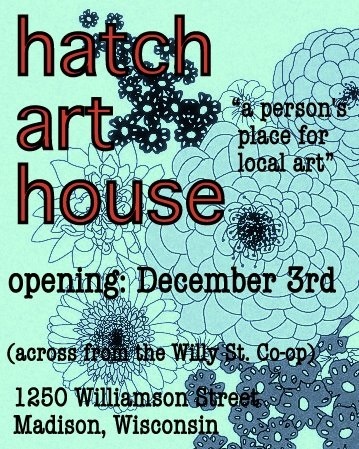 Hatch will open its doors Friday, December 3rd, 2010. Yes, it’s coming up soon! There is a wonderful variety of artists that will be displaying and selling their work. So please stop by and check it out! I will be posting photos of artwork here whenever possible. Hatch will display a wide variety of artwork at a broad range of prices, offering something for everyone. Every month, Hatch will host an art opening highlighting a featured artist. It’s sure to be a vibrant space, full of fun, beautiful and unique hand-crafted items and fine art. I met a lovely gal named, Angela at a craft fair I did this past weekend at a hotel in Racine Wisconsin…she makes amazing purses out of old books. I am an artist and have varying art obsessions, many of which I sell at local craft fairs and some things I list on Etsy too. I consider myself more of an artist than a crafter, and am hoping to branch out into doing more wholesale and commissioned pieces. Please let me know if you are interested in any new artwork in your gallery. I traveled back to my home state of Wisconsin just over a year ago, with my trusty companion, Piper (canine) from San Diego. DREAMS CAN HAPPEN! I am honored and very excited about being one of the first artists at Hatch. Thank you so much.